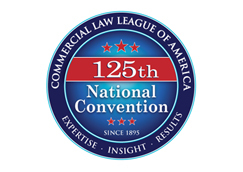 The Lawrence P. King Award for Excellence in Bankruptcy is given to recognize that lawyer, judge, teacher or legislator who exemplifies the best in scholarship, advocacy, judicial administration or legislative activities in the field of bankruptcy. The recipient exemplifies the standards set by Professor King during a lifetime of devotion to the practice and practitioners of bankruptcy. She or he has made a lasting contribution to the improvement of commerce and to the fair and ethical treatment of debtors, creditors and the public at large. Congratulations Professor Jay L. Westbrook, 2018 recipient of the Lawrence. P. King Award! 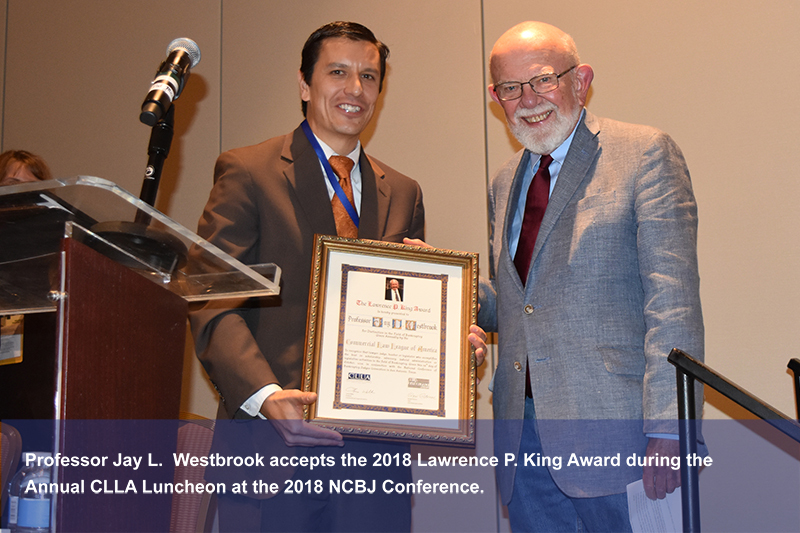 The Annual CLLA Luncheon & Education Program at the NCJB San Antonio, TX on October 29, 2018 included the presentation of the Lawrence P. King Award to Professor Jay L. Westbrook. Professor Westbrook was graciously congratulated by Senator Elizabeth Warren through a video message. Professor Westbrook is one of the most distinguished bankruptcy scholars in the United States, with substantial experience in international business negotiation and securities practice. He has influenced the field of bankruptcy― domestic and international― through his contributions and dedication. Westbrook’s work was honored by the Texas Law Review, citing the letter he authored to the Senate Judiciary Committee in support of The Bankruptcy Venue Reform Act of 2018 (Senate Bill 2282, the “Venue Reform Act’”). The Texas Law Review regards him as one of the “most distinguished bankruptcy scholars in the United States.” Professor Westbrook’s empirical work launched what is known today as the research of “law in action”, which continues to impact the lives of debtors, creditors, judges, lawyers, academics, and students. Professor Westbrook’s devotion to bankruptcy―and his extensive background as a teacher, author, and lecturer―is equal to his strong and caring personal character as a public servant. It is an honor to award him the League’s King Award.